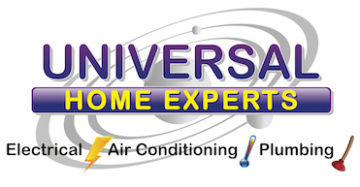 Universal Home Experts is a licensed and insured HVAC, plumbing, and electrical contractor in Houston. As a family-owned and operated business serving the Houston metro area since 1992, we offer award-winning workmanship and unsurpassed customer service. Just check out our testimonials and discover the Universal difference. I am very happy with the guys & the work completed. They can tend to be on the expensive side though. Universal Home Experts quotes a price, and you pay that price, no surprises! A great company to deal with,timely,friendly and informative!! I feel that they are a little expensive on some things !! Three professionals completed annual reviews of A/C, plumbing and electrical systems within 3 or 4 hours one afternoon. 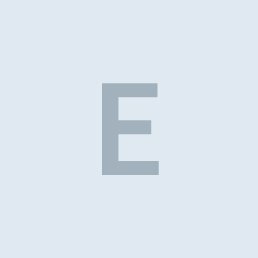 Included reports and recommendations for repair/service/things to watch for. Have used the services of Universal Home Experts since last Thanksgiving(emergency plumbing problem with a house full of guests) and have been highly satisfied. I think Universal Home Experts is way too overpriced. I do not feel like I received a fair value for my money. I was disappointed in being strung along for two or three weeks and then to have them pull out and not do the job. Clinton C was our electrician. He did a great job in diagnosing the problems, recommending the best way to correct, and very quickly making the repairs and upgrades that were needed. Outrageous cost. Will never hire again. The price was extremely high. I had problems with the company. The A/C itself is great, but they stole my nest thermometer and replaced it with another. I have already recommended them to someone, and they have already used their services. These people are dishonest and not ethical. They charged me $ 413.00 to unclog a vanity lavatory sink. The only thing the person who came did was to take the water off the sink and pass the snake. He said the pipe was clogged due to AC condensation, just assumed, because he didn't touch at all the drain pipes or anything under the sink. The person who came spent over 1-1/2 hours for the visit, but about 1 hour of those inside his truck/van I don´t know doing what. I would never recommend this people. I will put a claim to the BBB. The price of the services were not transparent. No, absolutely not. I was unhappy with the job. They replaced a part of the wall and never positioned it back properly. Justin was great and informative and on time..the office was very helpful and informative as well.. They did good work, and I'd recommend them. I actually used them twice because they found a plumbing problem several years ago that was a very simple problem. Nobody seemed to be able to find it. I had some problems with my lights. The only thing is that it wasn't really their fault when they put a new plug. Unfortunately, nowadays with residential, they have to be child proof which means when you go to put your plug into the socket, they put it in the socket, you had to put it in straight back. My problem is I'm physically impaired and no matter how hard I tried I couldn't do that, but that was not their fault and my neighbor. He helped me by buying. We bought one of those extension cords and he put it in for me so that I'm able to just plug it into that, but that was not their fault. Both men were very nice—the plumber and also the electrician—were both very, very nice. I'd give them an A-. I liked their timeliness and professionalism. Universal Home Experts did some plumbing work for me. They were looking for a leak in the attic. I'd give them an A. They did something back a long time ago. They do good work. They're just expensive, terribly expensive. Just basic electrical work. They did plumbing. It was positive except for the price. I'd give them a B.